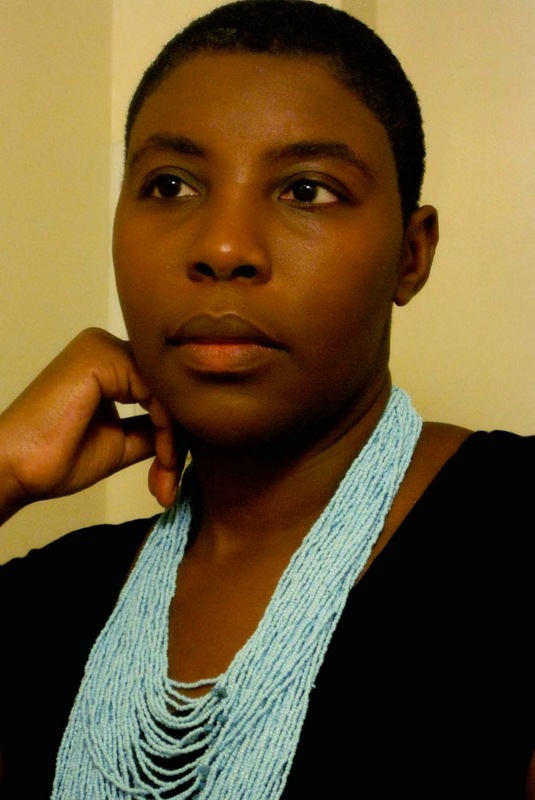 Christine Eyene is Guild Research Fellow in Contemporary Art at the University of Central Lancashire. Her current research focuses on: South African photographer George Hallett (1970s-80s), Britain’s Black Arts (1980s), contemporary African art, gendered perspectives in contemporary art, sound art and non-object-based art practices. Other interests include: socially-engaged urban cultures, experimental sound, music and design. In 2010, Christine created eye.on.art which brings together art news, events, research and curatorial projects developed by Christine Eyene. It also aims to give visibility to collaborating partners, affiliated institutions, artists and peers practicing in the field of contemporary art. Eyene studied History of Contemporary Art at Université Paris 1, Panthéon-Sorbonne and earned a D.E.A (Diplôme d’Études Approfondies), supervised by Philippe Dagen, in 1999. She has been researching modern and contemporary South African art since the late 1990s, specialising in the story of artists in exile during Apartheid and their cultural interactions with the Black Diaspora in France and England. Her essays on this topic have examined the art of pioneering modernists Ernest Mancoba and Gerard Sekoto, as well as Dumile Feni, Gavin Jantjes and George Hallett. Her other areas of research include Britain’s Black Art (1980s), representations of the body, gender narratives, performance art and urban culture. She has been visual arts co-editor of French journal Africultures since 2002 and has contributed to the field of contemporary African art through her writings in journals, exhibition catalogues and books. In 2010 she embarked in an international career as an independent curator. She was co-curator of Dak’Art 2012 – Biennale of Contemporary African Art with Nadira Laggoune and Riason Naidoo, and curator of the African selection of Photoquai 2011 – Biennial of World Images, with Françoise Huguier, Artistic Director. Her other projects include Roma-Sinti-Kale-Manush (May-July 2012) at Rivington Place, London, as co-curator with Mark Sealy, Director of Autograph ABP and Gabi Scardi, Independent Curator; Reflections on the Self – Five African Women Photographers London and touring the UK (2011-2014), as part of Hayward Touring; and [Kaddu Jigeen] – Women Speak Out (2011-2013), Galerie Le Manège, Dakar and touring Africa. She has recently been appointed Guild Research Fellow – Contemporary Art, at the University of Central Lancashire (UCLan), joining the team of Making Histories Visible, an interdisciplinary visual art research project based at UCLan’s Centre for Contemporary Art led by Lubaina Himid MBE, Professor of Contemporary Art. Over the coming years, she will be working alongside Professor Himid and Research Fellow Susan Walsh, conducting and publishing internationally leading research on the art of the Black Diaspora. Her role will also consist in devising and leading innovative curatorial projects which investigate how museums and collections ca­n work collaboratively with contemporary artists to address diverse audiences for visual art in Britain. Eyene is a member of Art Moves Africa Grants Selection Committee (2012-2013) and Institut Français Visual Arts Commission. She was also member of jury of Dak’Art 2012, as well as the Fondation Blachère Prize awarded at the Dak’Art Biennale in 2008 and 2010, and the Bamako Encounters in 2007 and 2009.